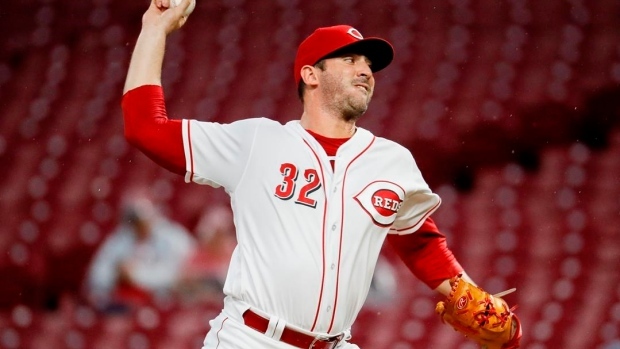 TEMPE, Ariz. — Los Angeles Angels right-hander Matt Harvey will be sidelined for at least a week as a precaution because of a glute strain he felt during agility drills. He said he expects to be ready by opening day. "It's nothing to be alarmed about," Harvey said Thursday. "It's unfortunate it's this early and with a new team and I have to miss a little time. I'll pick up right where I left off." Harvey signed a one-year, $11 million deal with the Angels in December and is looking to bounce back after last season. He went 7-9 with a 4.94 ERA in 32 games (28 starts) with the Mets and Reds last year. Angels manager Brad Ausmus said he expected the 29-year-old Harvey to miss a minimum of a week and a half. "You can recover from a week and a half," Ausmus said. "It depends on how he feels when we reevaluate him and how he feels and how quickly he can get back on the mound and what he's done in the interim. He can recover from that." Harvey said he felt some tightness in his left hip during Wednesday's workout, but added the discovery could be a blessing. Now, he's got additional hip mobility and core strength exercises to do. "It's nothing serious," Harvey said. "If this was during the season, I would keep going, probably take some anti-inflammatories and keep playing. This early in the spring, we discussed, we just want to get it completely out of the way. We're going to figure out how to not use my lower extremities and be able to throw so I don't lose any arm strength or anything like that. Once I get cleared to fully move around, then I can jump right back out on the mound and get going."